This abs workout contains workout schedule to perform in 42 days known as Aerobic Weider Six (Aerobic Six of Weider). 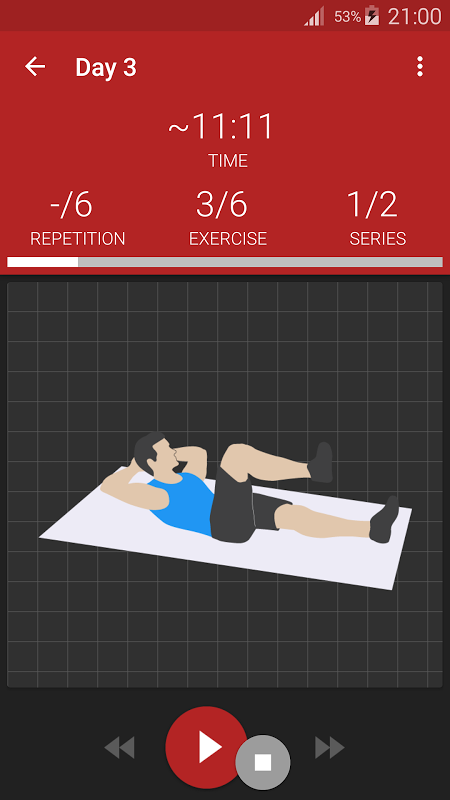 Main features: - daily abs workout - only 6 exercises - perfect abs in just 6 weeks - home workout without equipment - customize your workout or use default - check your progress on photos - monitor your weight and waist - editable spoken messages during workout (via Text-to-Speech service) Free application version is supported by in-app ads and has some limitations. What's more in PRO version: Not much - it's more like donate/thank you gesture. 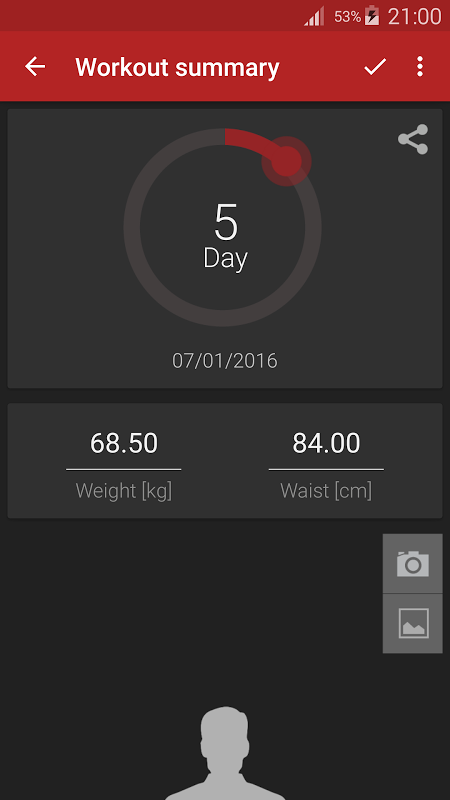 - you support development of this and other Caynax apps, thank you :) - no ads - change exercises order - dark application theme Notice: This application shouldn't be used as personal trainer. Before you start training ask your fitness instructor how you should perform each exercise. If you have obesity problems you might not notice results of these exercises (flat stomach). 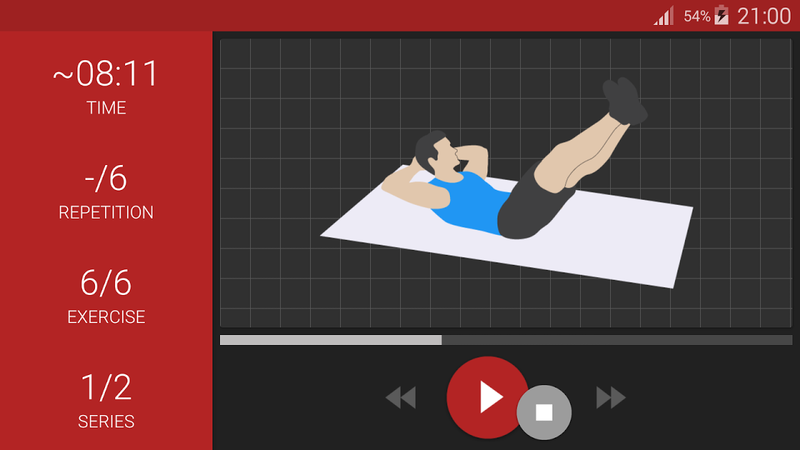 This workout was not designed to lose belly fat but to get flat, muscular abs/sixpack. 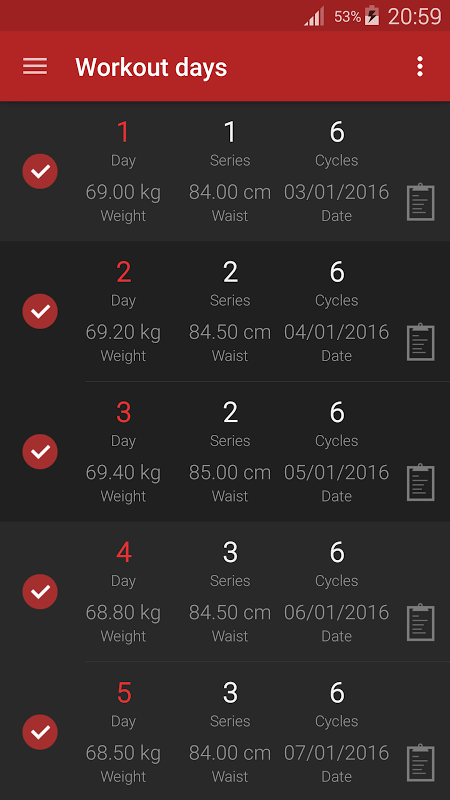 If You want to burn body fat try: Caynax HIIT with Tabata workout Caynax Home Workouts with HICT workout or other Tabata variations Permissions: READ_PHONE_STATE - used to detect incoming phone call and pause workout. RECEIVE_BOOT_COMPLETED - to start reminder service after phone start. 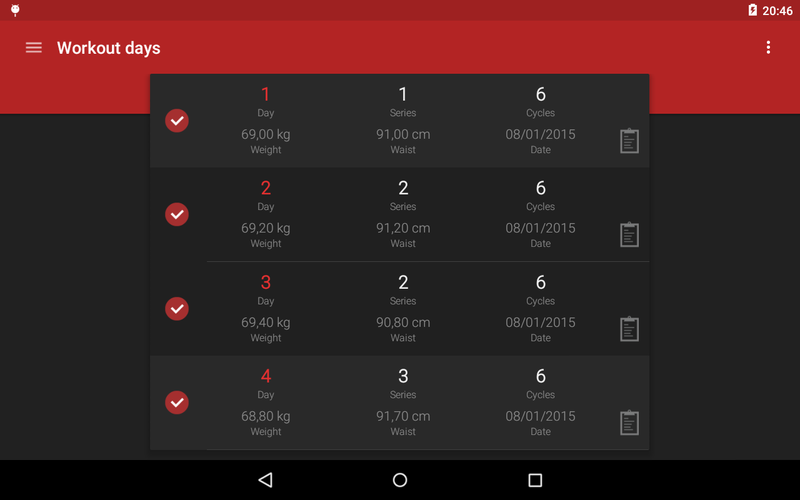 ACCESS_NETWORK_STATE, INTERNET - ads, checking for new app version, Google Analytics, Firebase Analytics. WRITE_EXTERNAL_STORAGE/READ_EXTERNAL_STORAGE - backup/restore settings, store generated TTS files on sd card. 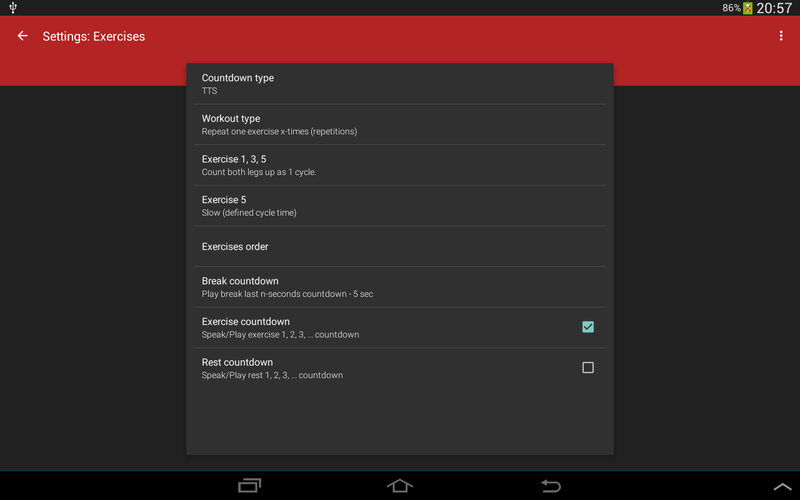 WAKE_LOCK - to ensure that workout works when screen is off. 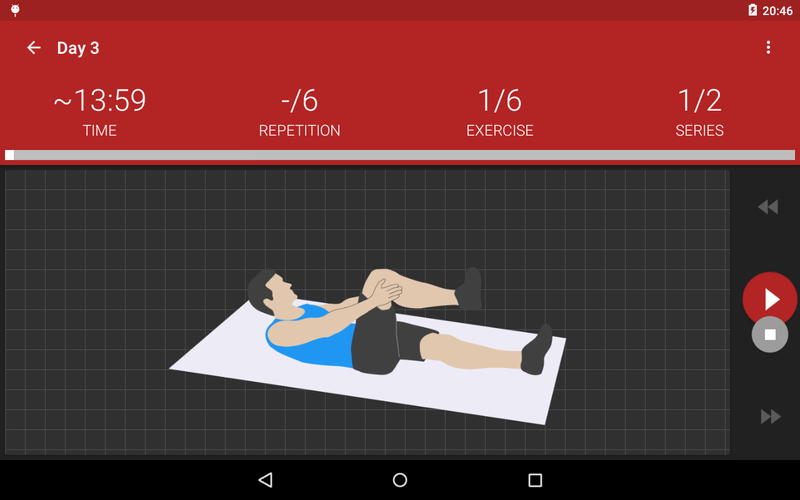  Is Abs workout PRO yours? Claim it!